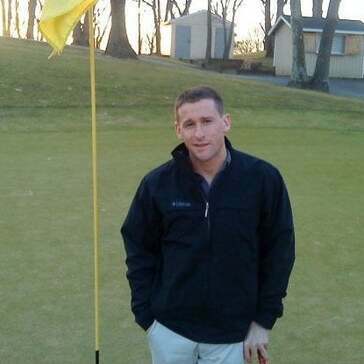 Jason Blonder is a Certified PGA Class A former Head Golf Professional. He has had the privilege to receive tutelage from Golf Magazine's Top 100 PGA Instructors such as David Leadbetter, Chuck Evans, Michael Hebron, Jeff Gschwind, David Pelz, Bob Rotella, Lou Guzzi, Erik Barzeski, David Wedzik, Lynn Marriott, Pia Nilsson and Michael Jacobs. I have started my own Golf Instruction Company, and Brand under Swing Plane Productions in Clark, NJ. Jason is certified with the Medicus 5sk System, Level 1 K-Vest Certified, TPI Golf Fitness Level 1 Certified, US Kids Golf Certified, and has attended the Vision54 Coaching Program. New certifications are added each season to ensure the latest, and most effective instructional information is provided to each student. Golf instruction is Jason's greatest passion, and his work is never ending to ensure every student greatly improves their golf games. PGA Instructor Jason Blonder is a Member of the Proponent Group "The Premiere Network of Golf Instructors". Of the exclusive 350 full members include more than half of the Golf Magazine's Top 100 Teachers, more than 150 Section Teachers of the Year, and more than a dozen National Teachers of the Year. Consistency in the full swing first starts with solid fundamentals, and understanding the 5 Simple Keys of the Golf Swing. My belief is to teach the student to become better at playing the game of golf one step at a time. Anything worth doing is worth doing right! This may entail all facets of the game including Golf Fitness, Mental Coaching, Course Management, Scoring Approach, and as a Swing Coach. We spend as much time on the course as we do on the range to improve the students golf game. All private golf lessons are instructed on Green Grass weather permitting or indoors with the Trackman 4 / E6 Simulator the best Launch Monitor Simulator experience in Golf! My passion is to teach golf, and the entire business of golf! I enjoy growing the game, and devote myself to improving the overall golf experience from a PGA Certified Professional. I stay connected to each student through social media to keep in tune with clients exact wants. Follow me on Twitter, Facebook, Instagram, Google Plus, Pinterest, and LinkedIn. Search Swing Plane Productions for all my social networks. Looking forward to seeing you on the golf course!